AS I write this, we’re up in Baguio with this year’s crop of 12 fellows attending the 52nd UP National Writers Workshop, and we’re discussing the works-in-progress presented by the fellows, who are all practicing and accomplished creative writers with at least one published book to their name. We’re calling them mid-career writers, but their ages range widely from the mid-20s to seniorhood. In our youth-oriented culture, we often forget how maturity can have its advantages, and how the literary imagination can improve with age. I was reminded of this when we took up the works of two of this year’s older fellows, Thomas David Chavez and Anna Marie Harper, both of whom happened to be working on historical novels. Writing the novel is difficult enough, but the writing of historical fiction poses some special challenges, which probably explains why not too many writers essay the medium. History deals with the past, but whenever we present it today—whether as fact or fiction—it inevitably also deals with the present, and by projection, with the future. In other words, the past is truly important to us—beyond its curiosity value—insofar as it informs the present, and provides clues as to what the future might be. The “historical” part of the term “historical fiction” apparently requires close attention to factual detail, which means exhaustive research of an almost academic nature, to make certain that one is taking off from solid ground. Just how solid that ground is will of course be debatable and may even be the subject of the fiction itself—“What really happened?”—but no matter what departures from fact are taken, a certain familiarity with the past (perhaps a fictive or imagined familiarity) is assumed. The sense-making of fiction relies, in turn, on dramatic plausibility—or, to put it in Aristotelian terms, on probability and necessity, in the logic of the human heart and mind. (To Aristotle, tragedy—which you can take to be literature itself—was superior to history, because history merely dealt with what happened, while tragedy concerned itself with what could happen). What makes fiction interesting is that this logic of the human heart and mind can often be bewilderingly illogical, although it will, at some point, acquire a frightening inevitability. I’ve often told my students that characters become truly interesting if and when they go out of character, and these turning points are what we wait for, both in history and fiction. It is, therefore, the burden of the historical fictionist to offer more than both ordinary historians and ordinary fictionists can offer. The past has to be more than setting or décor, the pitfall of bad historical fiction; and the fiction will require more than an embellishment of known fact. Historical fiction is not fictionalized history; it is not creative nonfiction. It is a fictionist’s creative use of the past as material with which to make sense of the present, of how we came to be what we are, of how we will likely be tomorrow. “Only in the last minute was Kurosawa informed of the nature of his gruesome mission, although two weeks before setting sail, he was told to recruit an able-bodied crew of 14 ocean-tested men, then to stock up on supplies treble that number, and finally, to organize a guild of petty merchants who could assemble on such short notice a credible cargo for trade in Manila. Given the time constraint, the captain orchestrated a passable, if rough and ready nine tons of merchandise. Kurosawa inspected and oversaw for himself the weighing of the bales of Kyushu silk, wax-sealed jars of Shikoku soy sauce and crates of Western-style gleaming steel cutlery from the foundries of Fukuoka. I look forward to the completion of both projects—indeed, of more novels that draw on our tremendously rich history to examine the emergence of our nationhood. 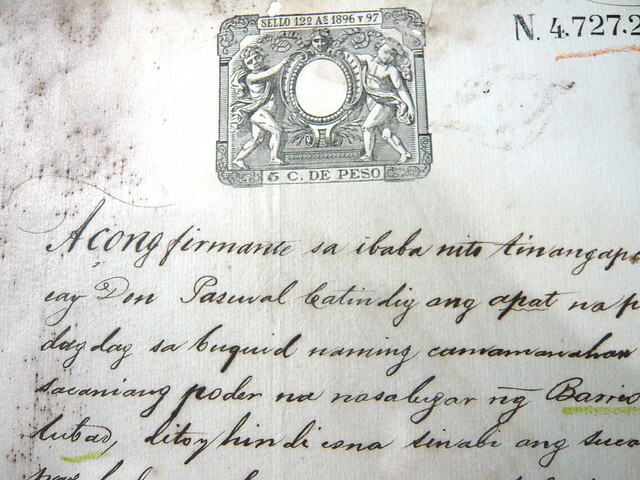 I’D LIKE to acknowledge and express my appreciation for a message from reader Nikko Salvador, who wrote in to say—in response to my GenSan piece last week—that a museum can indeed be found at his school, the Notre Dame of Dadiangas University, and that a few steps away stands a thorny dadiangas plant. I’ll make sure to visit these spots the next time I fly down to GenSan. This entry was posted in Art & Culture, Pinoys, Writing and tagged Baguio, history, workshop, writing by penmanila. Bookmark the permalink.